JONAH HEX #19 TEXAS MONEY DC 2007 NICE!!! 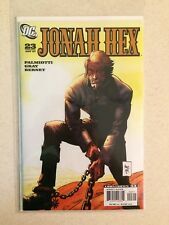 Lot Of 23 JONAH HEX DC Comic Books Mid/Late 00s! DC Comics! All Star Western! Featuring Jonah Hex! Issue 23!